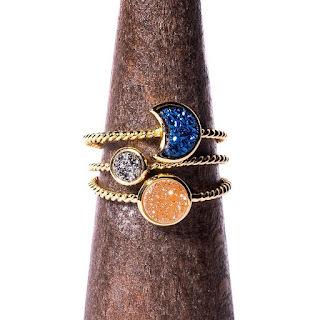 I love these stacking rings from Tree Hut! They are adorable and you wear them stacked or wear one at a time. They are so versatile and on trend! 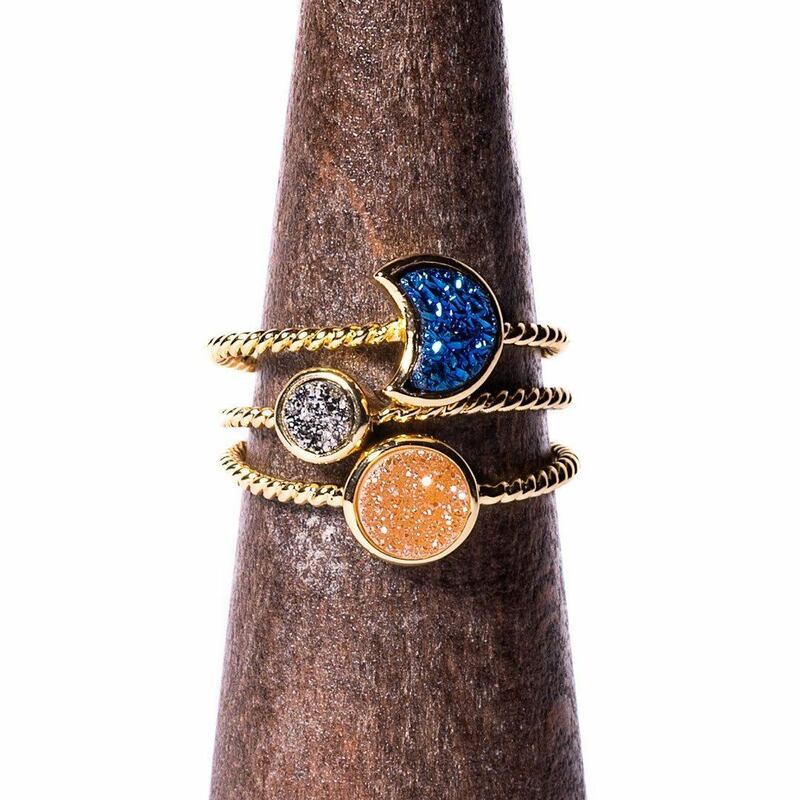 The Gelena Stacking Ring Set is Inspired by the natural colors of earths minerals. Stay on trend with this dainty yet modern stackable ring set. The unique color combinations are made to add the right amount of sparkle to your everyday look! The main stone is made from druzy stone. Druzy is known as 'The stone of star dust or fairy dust' it refers to tiny dust of diamond-like crystal scattered on the face of the gemstone. It is believed to have magical and mystical properties bringing lightness and harmony to one's spirits. The ring band is made from from gold-plated brass. Tree Hut has all the gifts you need From watches to dainty rings like this, you can find it all on Tree Hut! They have a great selection of gifts.